We recently had the pleasure of weighing in on a topic of great importance to anyone who owns a late-model car – the loss in value of your vehicle after accident repairs have been completed. It is known as auto diminished value and is the insurance industry’s most closely-guarded secret. Reporter Cathy Cunningham on behalf of The Chicago Tribune called with questions on the subject to which we were more than happy to respond. Third-party automobile diminished value claims are available to claimants in all 50 states including Texas. Read the abridged article below and feel free to call us should you, a family member or a friend find yourselves in what can turn out to be a difficult situation. I would like to file a diminished value claim in Texas. My wife was involved in a car accident and it was not her fault. Could you tell me what I should do if I want to file it myself without hiring a lawyer? Since writing a column on the topic in early 2016, I’ve learned that diminished value is a frequently searched issue. So Vladica’s request for assistance offered the perfect opportunity to provide a deeper dive into the subject. 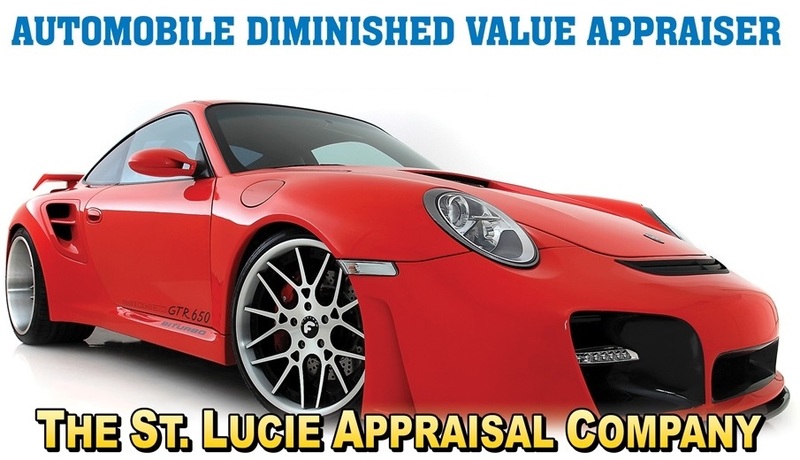 For this I turned to an industry expert, Franklin Colletta, owner of The St. Lucie Appraisal Company in Fort Pierce, Florida, an auto appraisal business that specializes in assisting consumers with diminished value claims and services customers across the U.S.
Let’s begin with a basic definition. Just what is diminished value? “Diminished value is the difference in the value of your car directly before and directly after collision repairs have been completed,” Colletta explains. He points out that once a car has been in an accident and repaired, it has a negative vehicle history report (such as through Carfax) associated with it. Because car buyers almost always prefer to purchase cars that haven’t been in accidents, a vehicle with an accompanying damage history becomes less valuable. “If there was frame damage or air bag deployment [as a result of the accident], the car is worth a lot less,” he adds. In Texas, as well as in all 50 states, consumers can only file for diminished value as a third-party claim, meaning these claims must be filed against the insurance company of the person responsible for the damage. They cannot be filed with one’s own insurance provider (aka a first-party claim). Colletta emphasized it is not necessary to hire a lawyer to file a diminished value claim. After filing the claim, you will then receive a response. This will either be payment in full, an attempt to negotiate a lower payout or a denial. When denied, the reason given is typically one of the following: the documentation is deemed faulty, other “evidence” is offered to suggest the loss is much lower, the insurance company hires its own “independent appraiser” to determine there is no loss, or, in some cases, the claim is simply denied because the damage has been properly repaired. When I asked if there was a minimum threshold for filing a diminished value claim, Colletta explained all vehicles damaged as a result of someone else’s negligence are eligible.